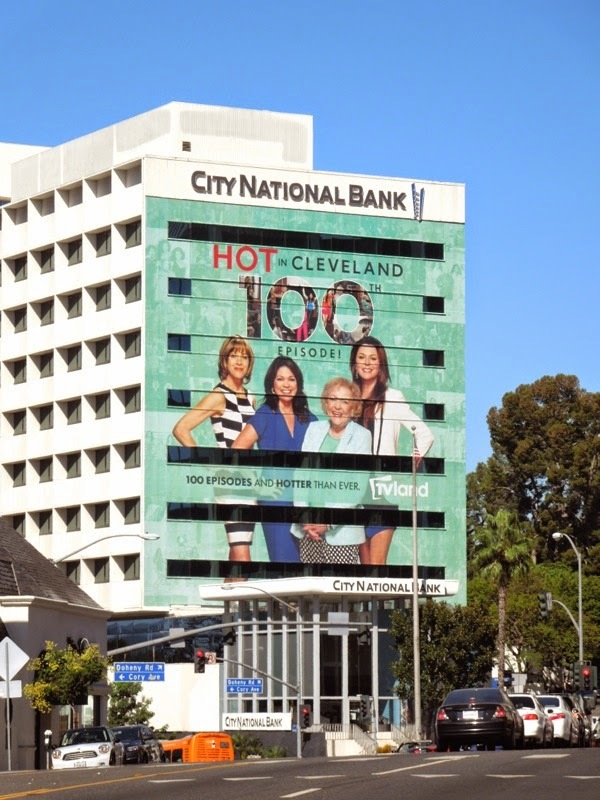 In its fifth season TV Land's live studio audience sitcom, Hot in Cleveland, reaches its 100th milestone episode and the ladies are celebrating in style with this giant-sized billboard along L.A.'s infamous Sunset Strip. 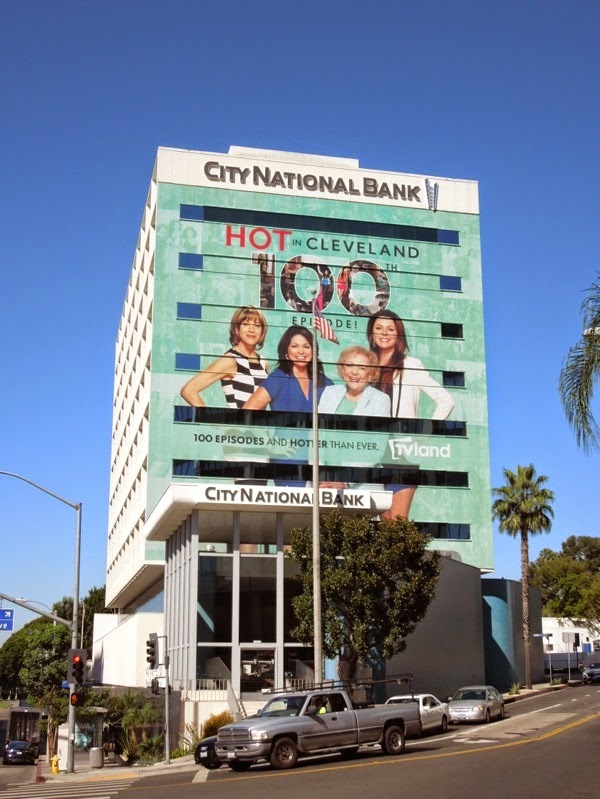 If they're lucky Wendie Malick, Valerie Bertinelli, Betty White and Jane Leeves will soon catch up with Betty's run on the iconic Miami-based sitcom, The Golden Girls, which originally aired from 1985 to 1992 (and has been rerun on television ever since). With a sixth season already confirmed, let's hope the 92 year old star of The Mary Tyler Moore Show continues to enjoy good health, and doesn't lose her marbles, before she matches, or exceeds her previous comedic run. 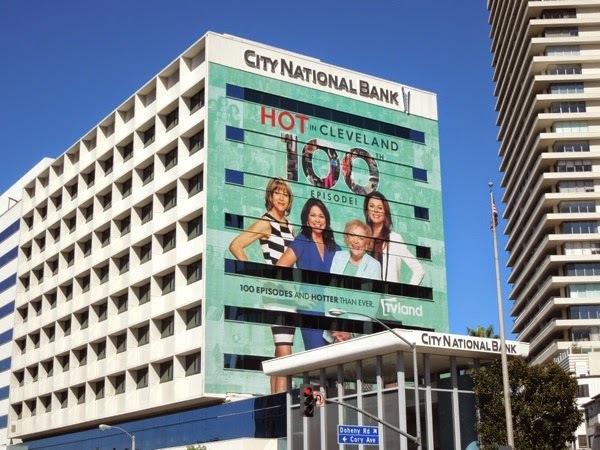 The good news for Hot in Cleveland is that they've now reached that magical U.S. syndication number of episodes, which makes the series attractive for continuous weekday reruns on another channel. 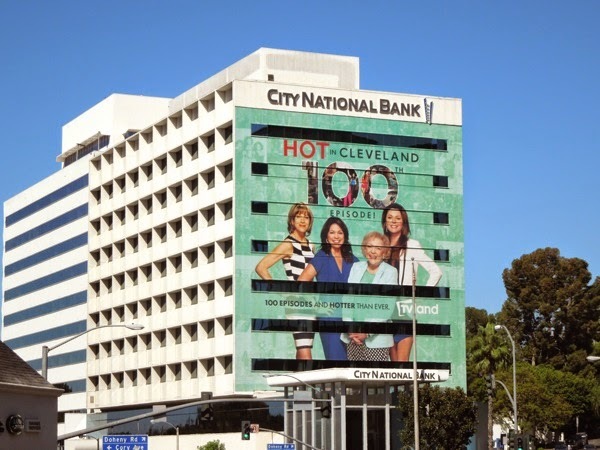 Well done ladies, you're now even hotter property than ever. 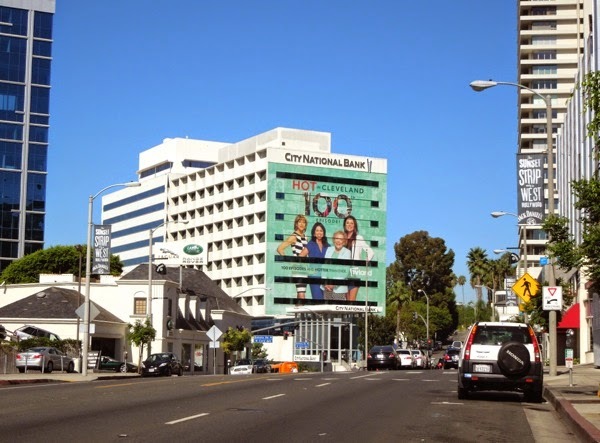 This special 100th episode billboard was photographed westbound at the intersection of Sunset Boulevard and Doheny Road on a beautiful August 5, 2014. 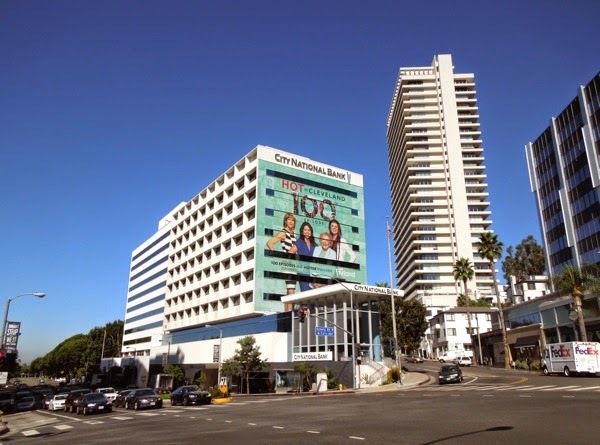 It's nice to see a vibrant ad creative in this billboard location, as for several years it's been the domain of fashion brand Guess, who tended to run mainly black and white, albeit stylish, ad creatives, which didn't change for months on end. 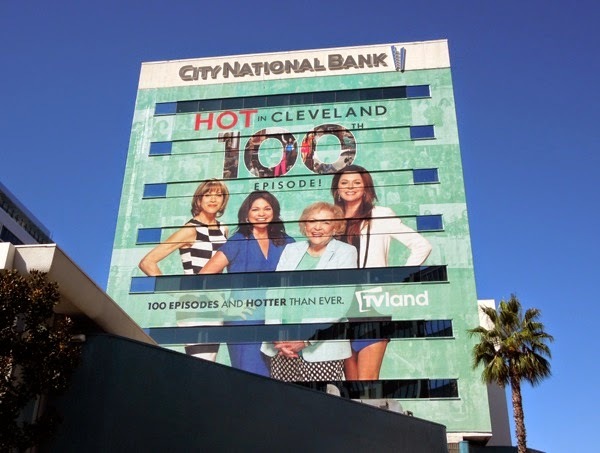 Thanks for bringing the colour back to the start of West Hollywood's Sunset Strip and if you're a fan of the sitcom, be sure to also check out these other fun Hot in Cleveland billboards from seasons past.